According to a Japanese newspaper, those rubber casings that Nintendo is giving away free to Wii owners are set to cost the company ¥2 billion. That's around £8.4m, apparently pocket change for Japan's second richest company. The rubber coverings will be included free with all future Wii consoles and Wii Remotes, while existing Wii owners can request one free by getting in touch with Nintendo. The protective jacket is made of silicon. 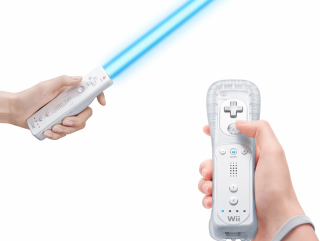 It's designed to prevent damage if the Wii Remote is accidentally hurled across your living room by a sweaty palm.